Vodafone's new Rs 349 recharge is only for their prepaid customers. It offers 1.5GB of 4G/3G data per day along with unlimited calling capped at 250 minutes every day or 1000 minutes per week. 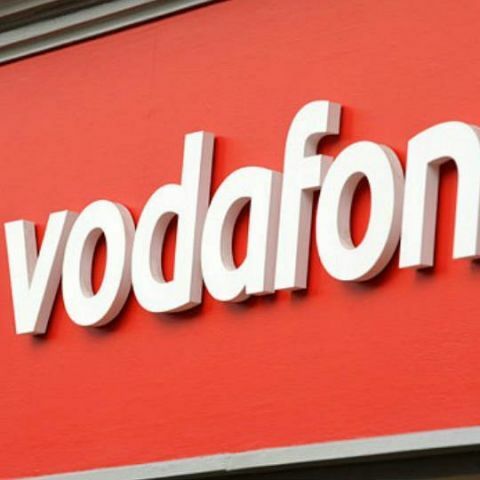 Vodafone has introduced a new recharge plan priced at Rs 349 for its prepaid customers. The new Rs 349 plan from Vodafone offers 1.5GB of 4G/3G data per day along with unlimited local and STD calling for 28 days. The unlimited calling is capped to 250 minutes every day or 1000 minutes per week and users will be charged 1p per second after FUP. The Rs 349 Vodafone prepaid plan is confirmed for Vodafone's Maharashtra and Goa regions but could vary for other circles, so users should check before recharging. The new Vodafone Prepaid plan rivals Jio’s Rs 309 recharge plan which offers 1GB of daily 4G data for 49 days along with unlimited voice and SMS, and unlimited access to Jio’s suite of apps. Apart from Vodafone, Idea and Airtel also announced their respective recharge plans which offer 1GB of data per day with unlimited calling. Idea recently announced a new Rs 357 prepaid recharge plan and it offers 1GB of data per day along with unlimited local and STD calling. It is valid for 28 days and can only be availed by prepaid consumers. Airtel announced a new recharge plan priced at Rs 448 exclusively for its prepaid consumers. On recharging with the prepaid plan, users will get 1GB of 3G/4G data daily for 70 days along with unlimited calling capped at 250 minutes per day or 1000 minutes every week. Both the above-mentioned plans by Idea and Airtel are aimed to rival Jio’s Rs 399 plan, which offers 70GB of 4G data with a 70 day validity. Jio recently revised its recharge plans and has also announced a triple cashback offer for its Prime subscribers. Under the offer, users will get 100 percent cashback on recharging their Jio connection with Rs 399 or above and will also get triple cashback of upto Rs 2,599. The offer is only valid if the recharge is performed from November 10 to November 25. You can read more about the Jio cashback offer here.